SOCIETY IS DEAD... SO REMAKE IT. Build and rule your own post-apocalyptic society. Decide the laws and morals of the survivors. Overcome challenges and threats from the wasteland. What kind of society will you make? 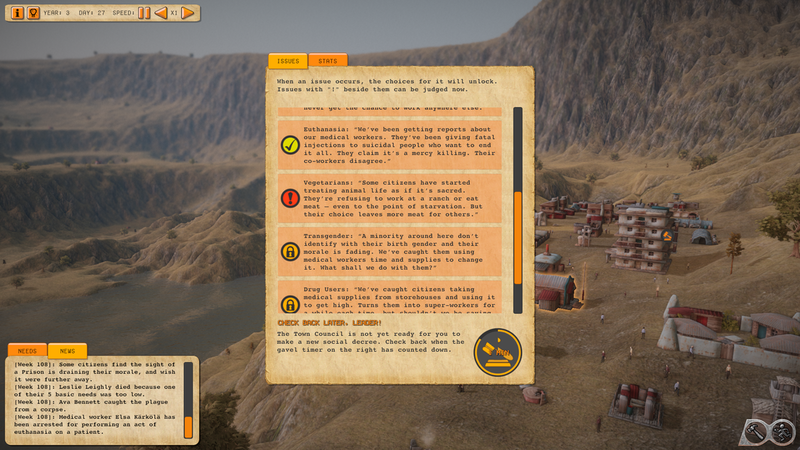 Atomic Society is a post-apocalyptic town building game where you must set the laws and decide how society should be run. 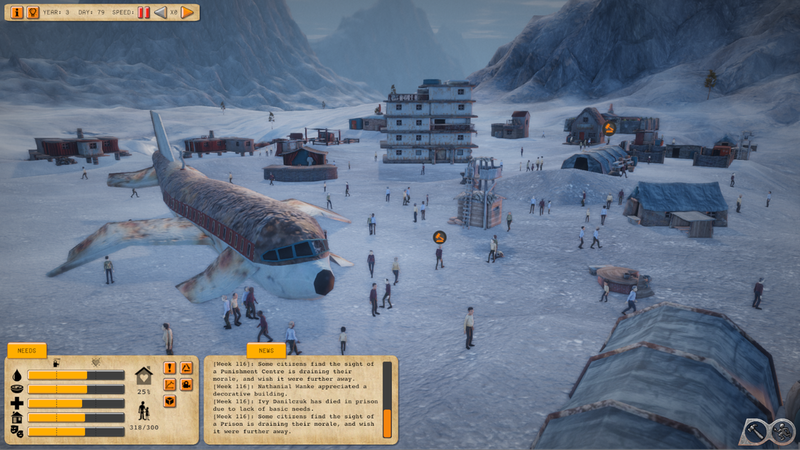 ​Rule a large settlement that can keep hundreds of survivors alive in a harsh wasteland. Expand carefully and overcome challenges from a dangerous and desolate world. Decide what laws and values your town will have. Create a society that others will admire or dread. Read more about the game and its features here.